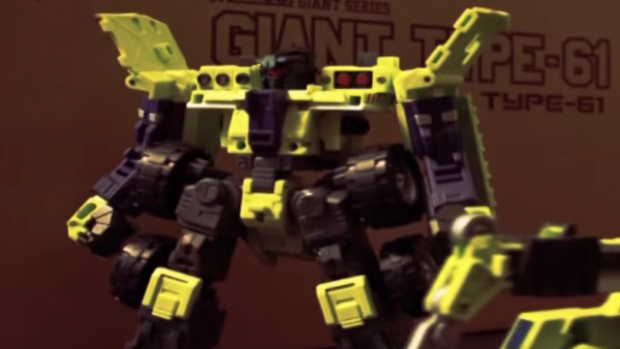 This is a high-quality fan stop motion animation of Transformers. A lot of people think this is better than Michael Bay's Transformers flick, but you can be the judge of that. This video has a retro feel that many may find appealing. The bonus for true fans of "Transformers" is that it returns to the classic 1986 "The Transformers: The Movie," featuring iconic Vince DiCola scoring and Stan Bush’s memorable "The Touch." So, if you are in the camp that believes that Bay has completely ruined the Transformers ideal, this may be more to your liking. The stop motion animation was done by Harris Loureiro and sees Optimus Prime take on the Constructicons and Devastator. I really love Giant. they are so freaking cool ! !..very light and good for stopmotion not to mention awesome articulation as well.. But sadly i already sell it due to financial problem. will get it back if i have the chance. I have done shooting the stopmotion on Sep 2013 and start the editing on May 2014. took me more then a month to do the editing with the special effects and the sound FX. There are some scene that have been cut off. which is some of the scene is in my external hard drive that is already crash/damage/total lost/trash..all the file in it goes with it as well..so far as you see..this is all that's left. This video is dedicated to all Transformers G1 and 3P fans..hope you guys enjoy watching it.